i hope you're all having a good day! Today I thought i'd share with you my current favourite perfumes that i've found myself reaching for the most! 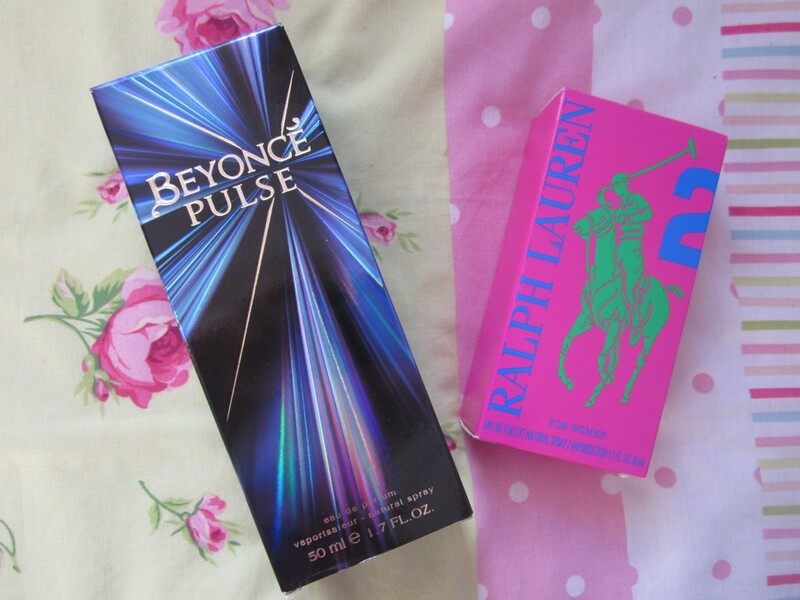 These perfumes are very different, the beyonce one is more light and sweet, whereas the ralph lauren one is quite fruity and citrus-y! They are really nice for just everyday wear! I think the beyonce one is around £25 and the ralph lauren one is around £40, quite a big price different and i would say my fave is the beyonce one! 8 comments on "my favourite perfumes!" i have the beyonce perfume, smells so lush! it does! ahh i love it! I love Miss Dior Cherie for the springtime. i had a small sample of that last year and loved it!